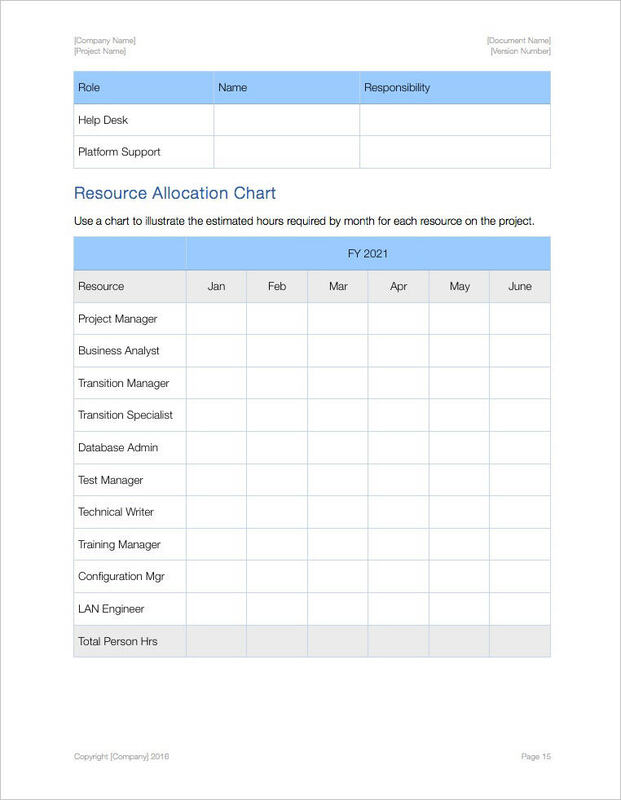 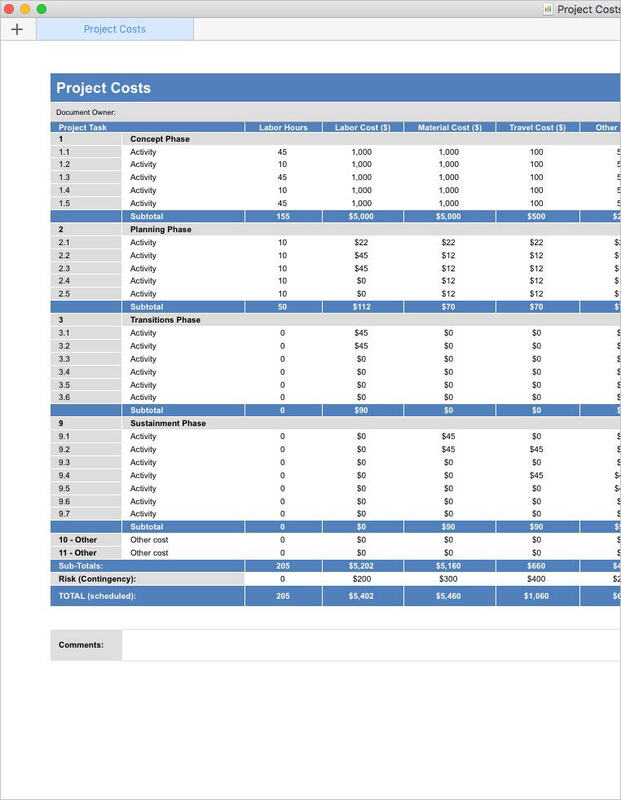 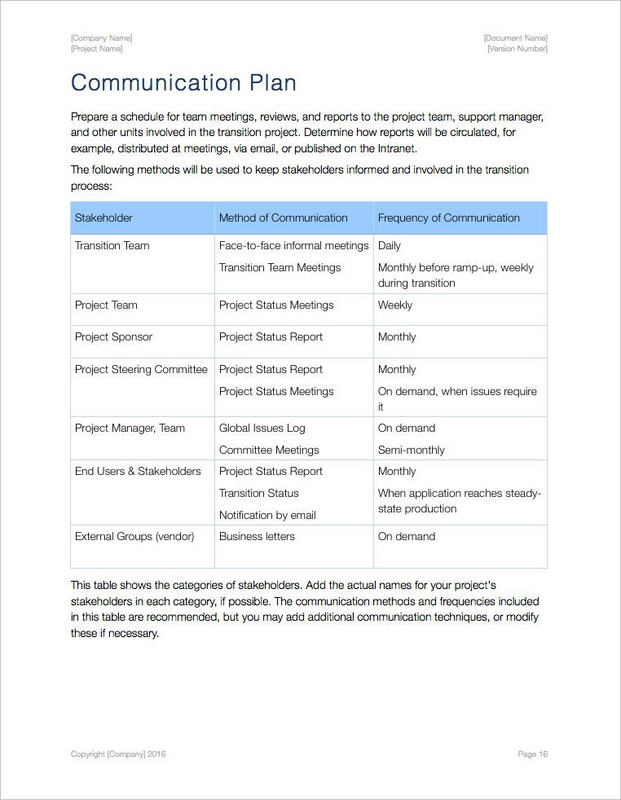 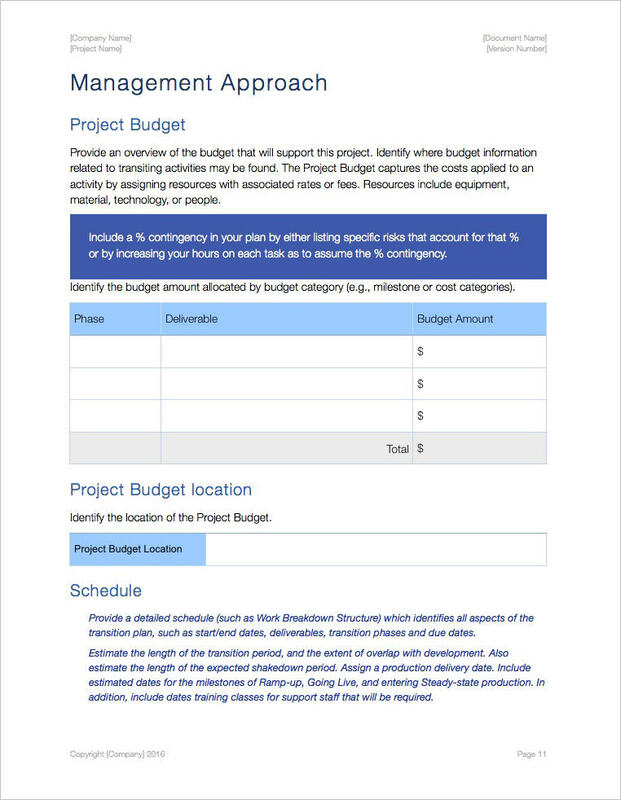 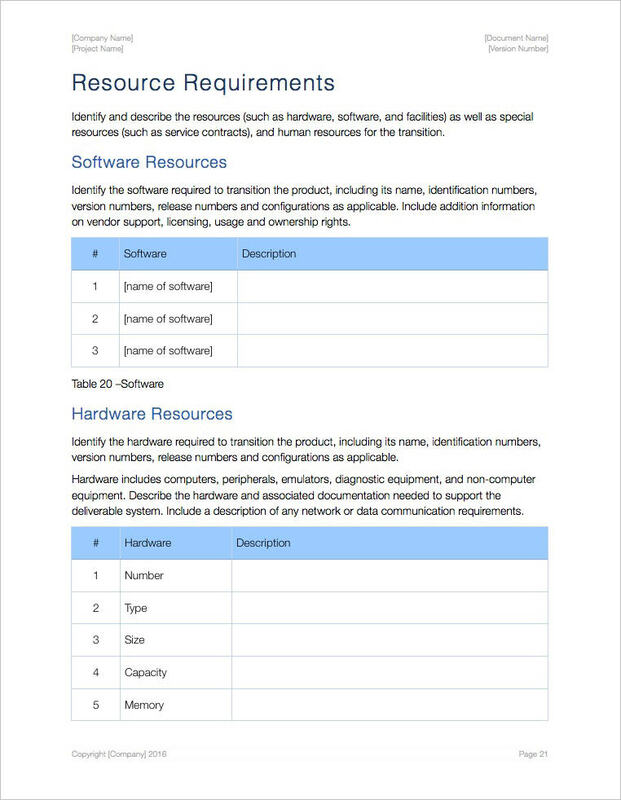 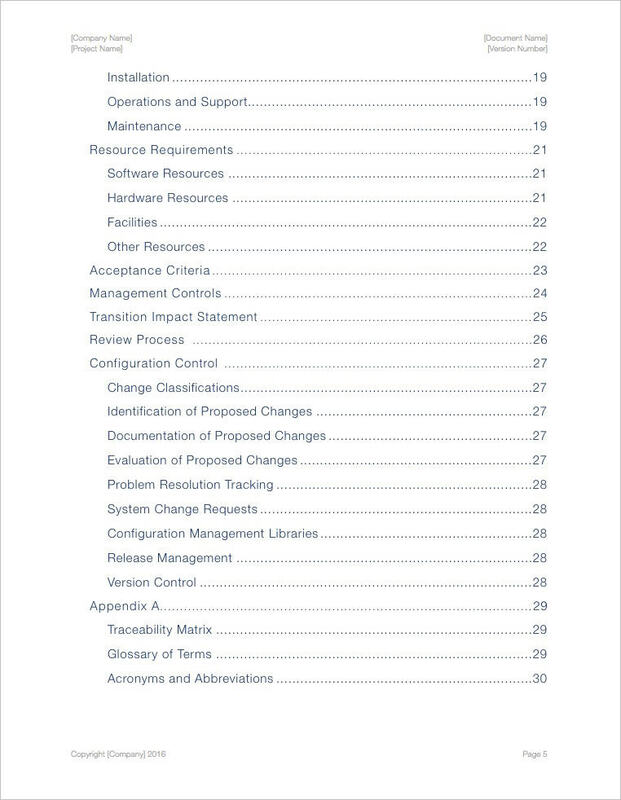 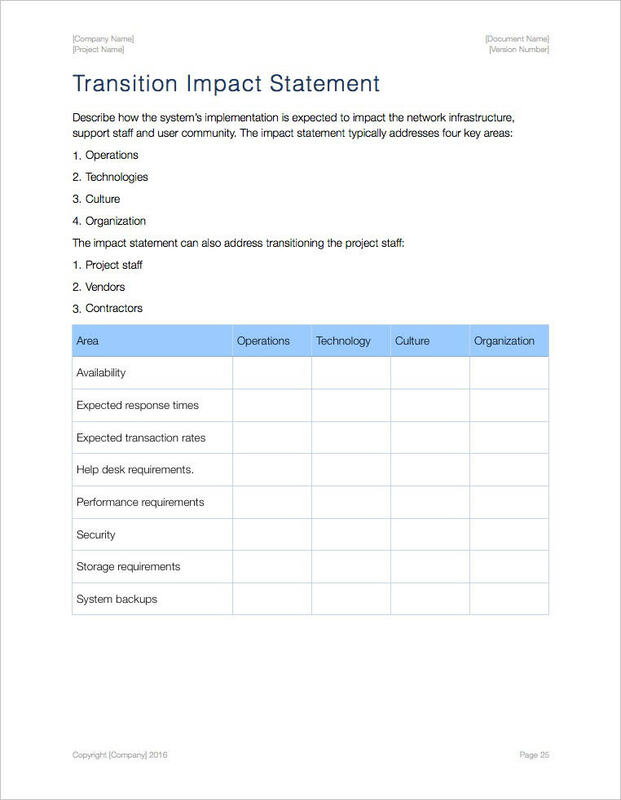 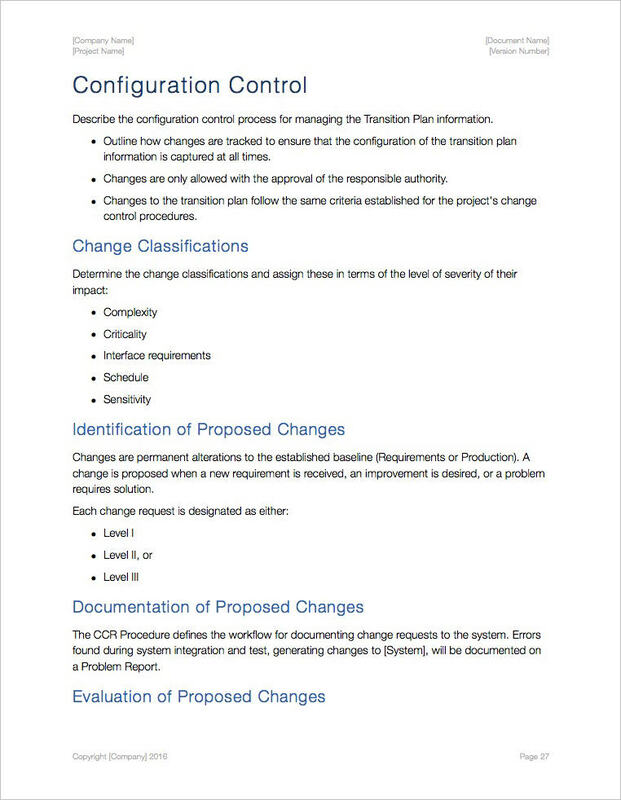 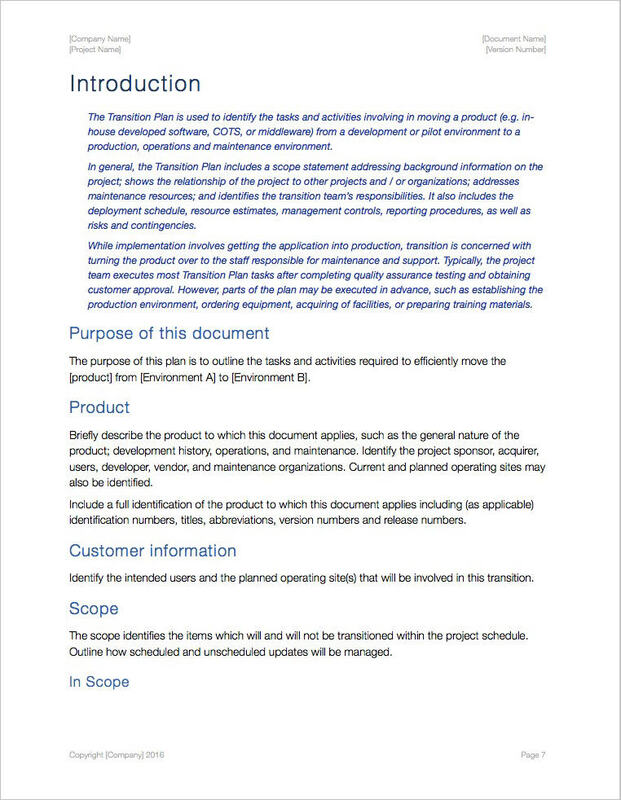 You can use this template (iWork Pages 30 pgs + 9 spreadsheets) to describe how project deliverables will be brought to full operational status, integrated into ongoing operations and maintained. 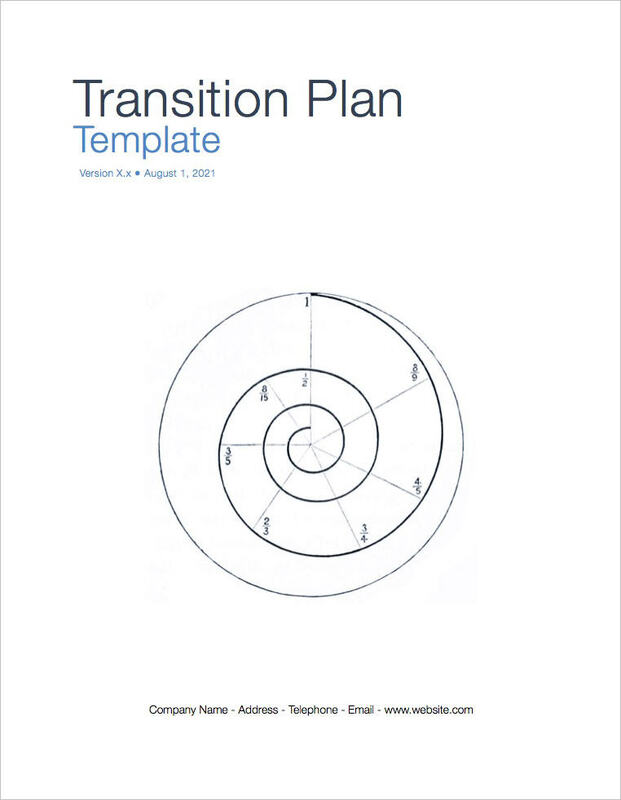 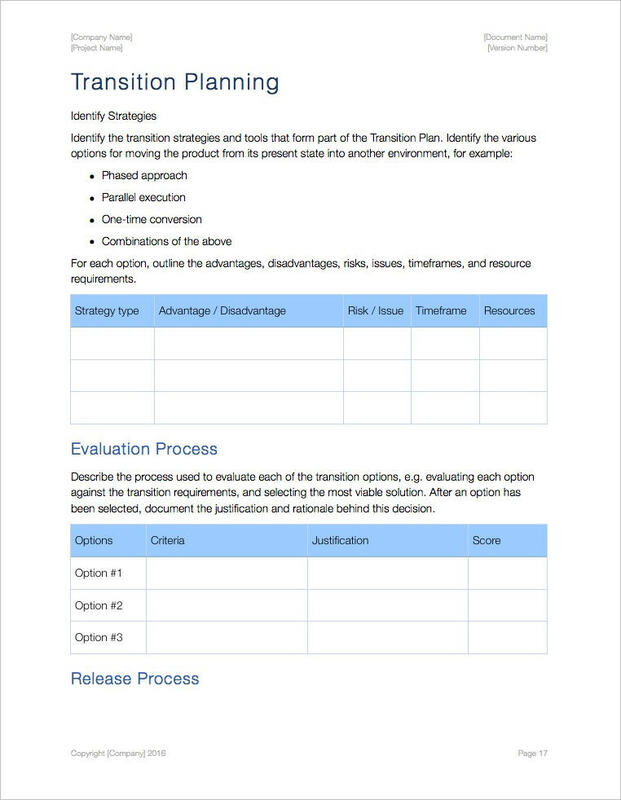 This 30 page template can be easily modified for your next transition program. 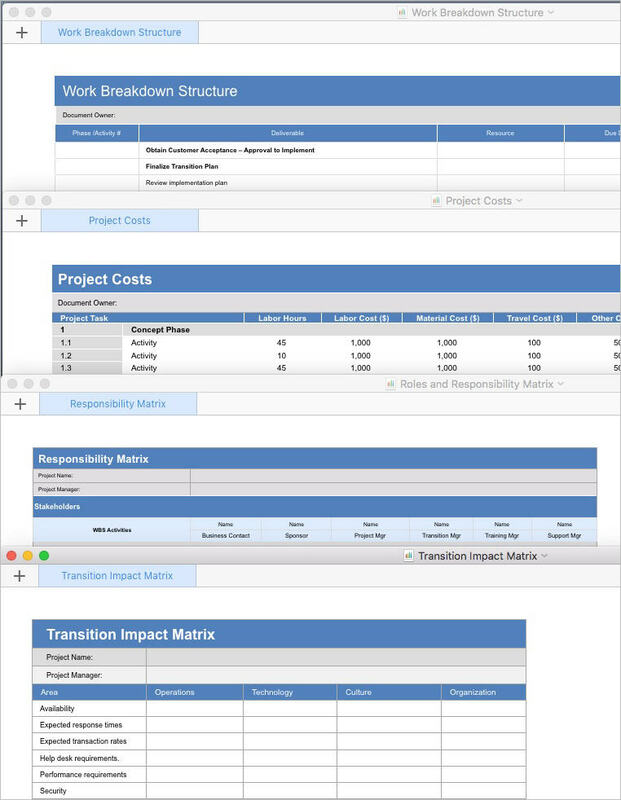 Also, includes Project Costs, Work Breakdown Structure, Roles and Responsibility, and Transition Impact spreadsheets.